In a study published today in PLoS Genetics, an international team of researchers describes Crohn's disease-related genetic risk factors that appear up to four-fold times more frequently in the AJ population, compared to other populations. Analysing 5,685 exomes (protein-coding regions of the genome) from individuals of AJ descent, the researchers provide a detailed list of genetic variants that increase the risks of Crohn's, as well as certain rare diseases like Gaucher, Canavan, and Tay Sachs. While Crohn's is an inflammatory disease of the digestive tract, Gaucher is a metabolic disease, and Canavan and Tay Sachs are both neurodegenerative diseases. "We wanted to make this information immediately available to the community. This will benefit other researchers who are studying these diseases and can help clinical practitioners with screening efforts," said lead author Manuel Rivas, assistant professor in the Department of Biomedical Data Science at Stanford University and visiting scientist at the Broad Institute of MIT and Harvard. 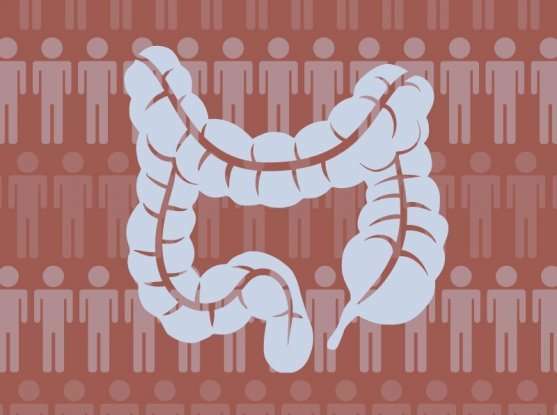 The researchers found ten Crohn's-associated mutations in the genes NOD2 and LRRK2, all of which occurred more frequently in the AJ population. NOD2 is an immune-system function gene, while LRRK2, which is active in the brain, is associated with Parkinson's disease. "This study was a global collaborative effort that will help us understand and hopefully improve how we treat Crohn's—but also quantifies the underlying increased risk for diseases such as Gaucher, Canavan, and Tay Sachs," said co-senior author Mark Daly, institute member and co-director of the Program in Medical and Population Genetics at the Broad, chief of Analytical and Translational Genetics Unit at Massachusetts General Hospital, and associate professor of medicine at Harvard Medical School. "It particularly highlights the value of using exome sequencing data across large population samples to determine risk factors."